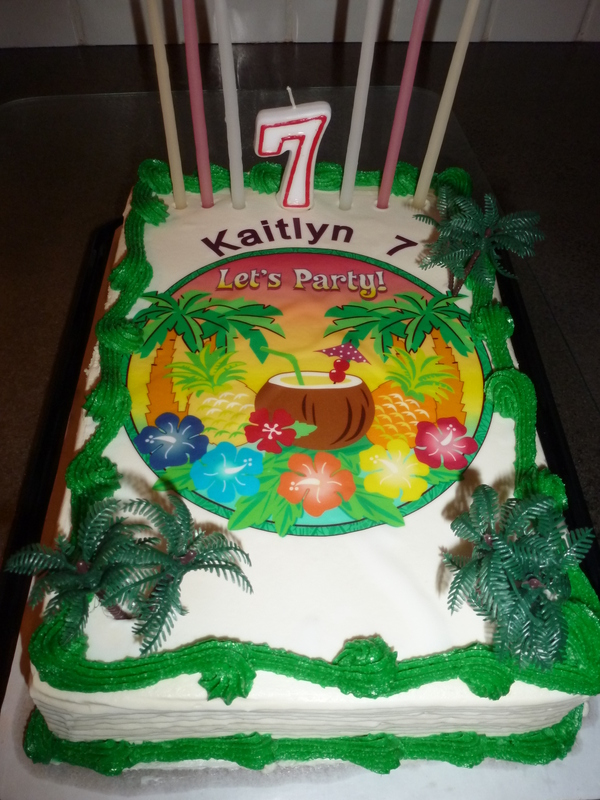 For my older daughter’s seventh birthday, she wanted to have a luau. A friend of ours was generous enough to offer up the use of her pool in the afternoon so the kids could have a swim. The kids all had a blast! 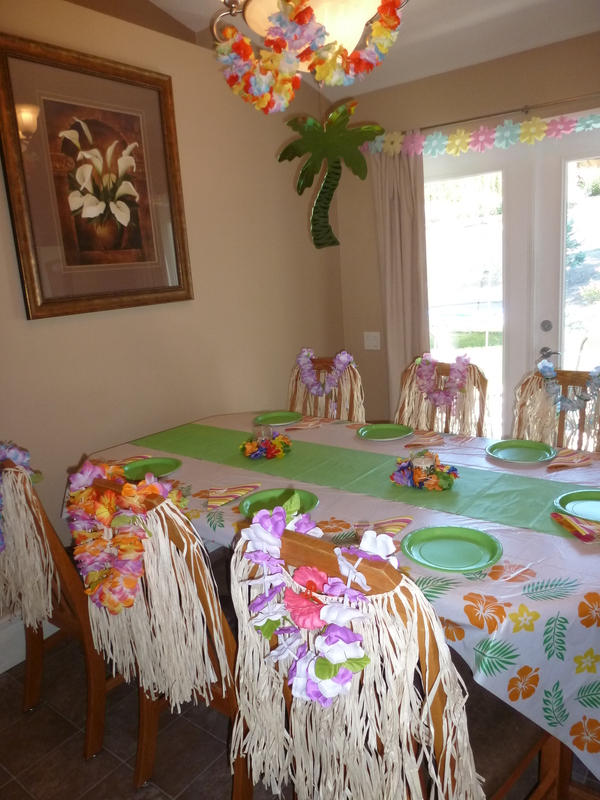 When we came back to our house, the girls each had a grass skirt, coconut bra, lei and flower clip waiting for them. The grass skirts were a bit itchy, but the coconut bras were a hit. Group photo time! I had the group photo printed off right away so the girls could put them in their picture frame they got to decorate. I have printed the wooden frames I had purchased at Michaels beforehand and bought the stickers from Oriental Trading. 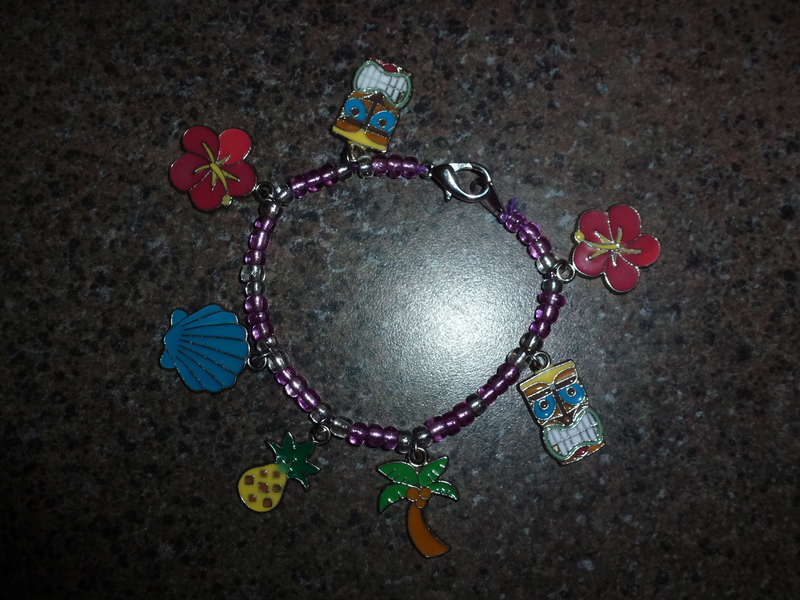 The second craft the girls got to make was a charm bracelet. I bought a lobster clasp and jewellery beads so they would look a bit fancier. The charms also came from Oriental Trading. I always like to add a table runner. I think it adds a nice touch and helps dress up a table. 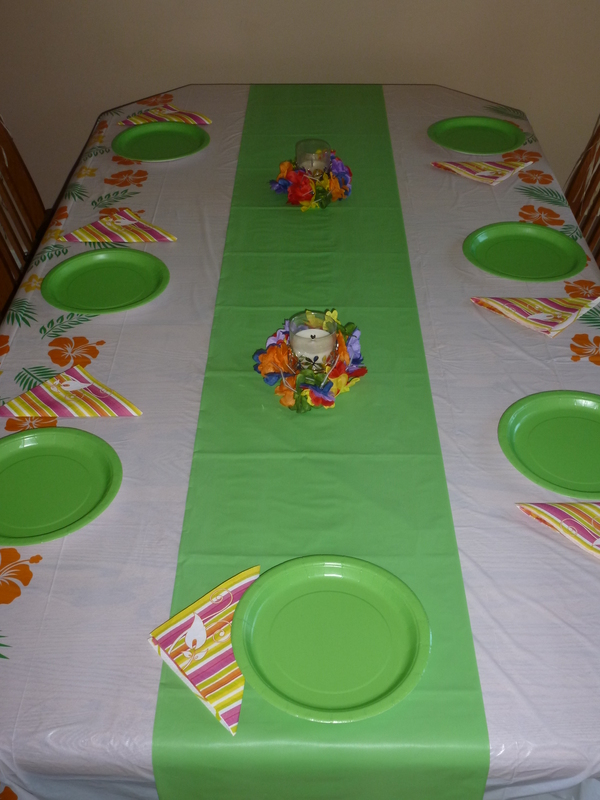 I used the grass skirts and flower leis to dress up the chairs. We were camping before this party and I didn’t have a lot of time to bake, so we went with a store bought cake. My daughter picked this cake out as the one she wanted. It fit in with the theme, but I wish I had had time to do something different. That being said, it tasted good and the kids liked it, so that’s what matters. The loot bags were colourful mesh bags to use at the beach. 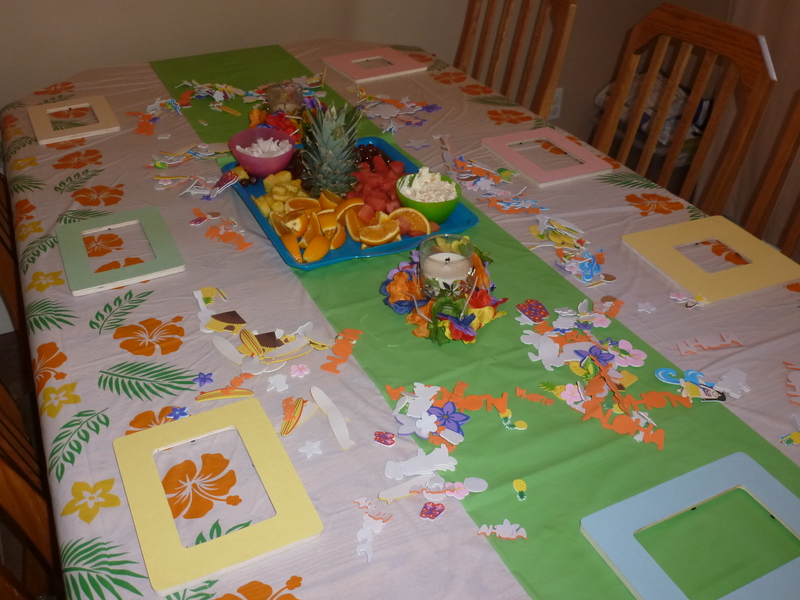 The girls took that home with their picture frame, flower leis, skirts, hair clips, coconut bras, and charm bracelet they made. My daughter said that this was “the best party ever!” I seem to remember her saying that last year too, so something tells me she’s pretty happy with her birthday parties, which makes me happy.